In one of the episodes, the Netflix series claims Gilroy’s Christopher Ranch used shady practices to oust one of its opponents in the business, claiming that they conspired to fix garlic prices in America using Chinese garlic. 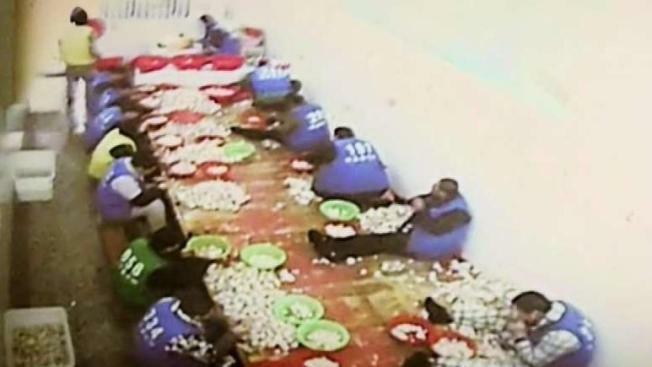 In the episode, a competitor says his undercover video shows the company’s garlic was peeled by Chinese prisoners, at times, with their teeth. “I was completely outraged,” said Vice President of Christopher Ranch, Ken Christopher. According to Christopher, most of their 90 million pounds of annual garlic is grown and processed in California. They work with a company called Harmoni to import about 10 percent of their product but it’s not sold under the Christopher Ranch label and isn’t processed in prisons. Christopher says the undercover prison video is a fake and also explained that all the accusations have already been addressed by the U.S. Customs and Border Protection Agency and no wrongdoing was found. Christopher Ranch may pursue legal action to stop the episode from streaming on Netflix, but they have yet to decide.